Why Leaf Blowing is Counterproductive. Leaf blowing is one of those controversial topics where you either hate leaf blowers or you love them. 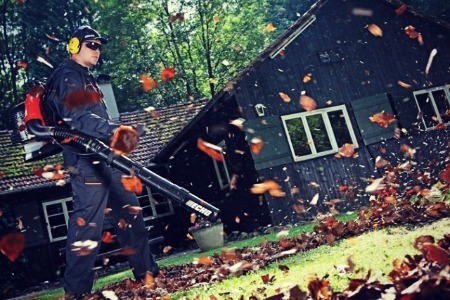 Although some leaf blower users argue that leaf blowing saves time…LISTENING to leaf blowing when you are not the person using the machine itself can lead to stress and neighbor disputes. Regardless of the noise pollution, my gardening colleagues and I are also of the collective opinion that leaf blowing is not at all valuable — and instead it is very counterproductive for the environment in more ways than one. 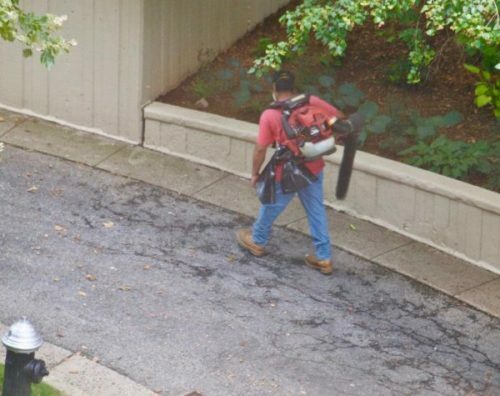 We think everyone will agree that leaf blowers are overused these days. And noise pollution is a driving factor. Let’s point out the positives of leaf blowing. 1. Leaf blowing CAN help clear leaves and debris easier and faster than raking or sweeping. 2. Leaf blowing gets leaves out of prickly bushes a bit easier than hand-pulling them. 3. Leaf blowing gets people outside on a nice day. Those are some nice positives to consider. Do you have others? Please leave them in the comments section at the end of this posting. 1. Leaf blowing kicks up allergens, dust, animal feces, and other detrimental particles. 2. 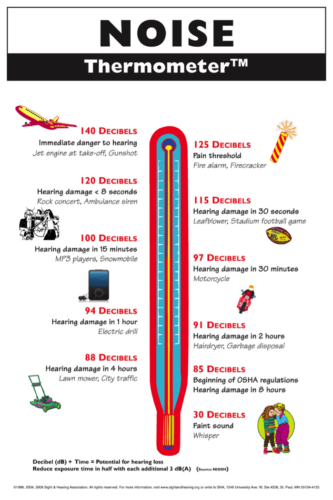 It’s noisy, obtrusive, and can cause hearing loss for those within earshot of the blowers. 3. Shredded leaves from your own property are far better than purchased wood mulch which can harbor diseases. 4. Neighbors are likely being annoyed if you use your leaf blower more than once per week even during periods of high leaf droppage. 5. The overall ecosystem is negatively affected. Whew! Those are some pretty controversial comments right there. I compiled that “top five” list while speaking with various neighbors, friends, colleagues and clients. Even though they agree with the positives, pretty much everyone agrees that leaf blowing is loud and annoying and can cause hearing loss. Yet what other problems cans it cause? My husband and I live in a fairly wooded area with minimum two acre properties. We are bordered mostly by large properties including a 30 acre farm property next door. Our own five acre property is located inside a watershed which means we need to preserve our land from additional change or development. We love our beautiful woods and what we thought would be a peaceful, serene atmosphere to enjoy. How wrong we were. One of the main reasons that we moved to this larger property was to escape the constant sounds of condo and townhouse noise through walls and floors/ceilings and especially through open windows in nice weather. We figured we would no longer hear any regular noise from adjacent neighbors in single family homes who were at least a few acres away. That was a definite farce. As soon as we moved in (and this was 20 years ago), we found out that one of our next door neighbors would blow leaves constantly, mostly FROM his property ONTO everyone else’s. It was impossible to be outside and enjoy nice weather when the blowing activity was in full force which was virtually every single afternoon AND evening regardless of the weather. Each of the sons had his own leaf blower so all four males including the father would go outside and blow together. This activity went on for hours, even in the dark. 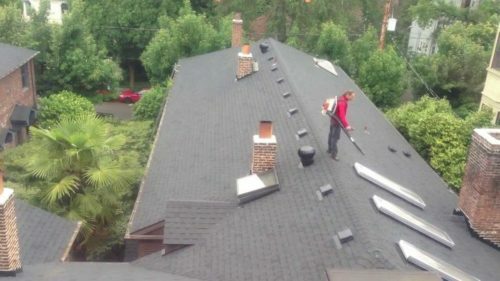 They would even climb up onto the house’s roof and blow leaves out of the gutters (NOTE: it’s not recommended to use a leaf blower to remove leaves from gutters) and then eventually blow those leaves over onto others’ property including ours and also into the privately-owned community road. We could never figure out their obsession with leaves nor why they were using blowers not only during Fall but also during the Winter, Spring and Summer. The neighbor regularly complained to us, and his other adjacent neighbors, that “our” leaves that he had blown back to our properties (where they belonged) would always blow BACK on to “his” property. He had quite a number of mature trees on his property so I’m not quite sure how he knew which leaves fell from which trees — his or ours — considering we all have the same tree types on our properties. That neighbor moved away and we got some great neighbors. Unfortuately, the great neighbors moved and we are back to the overuse of a leaf blower again. 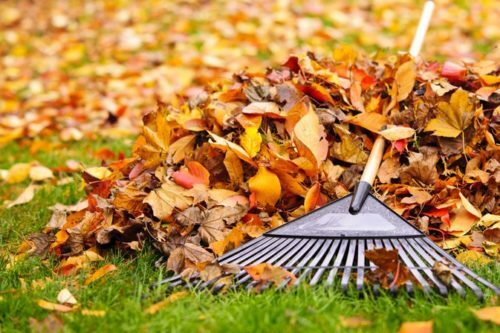 Normally, leaf clean up happens once or twice in the Fall when the trees naturally drop their leaves. While a few neighbors do no leaf clean up at all or have landscapers vacuum their properties of leaves, a few of my male neighbors take it upon themselves to blow leaves and debris DAILY, if not SEVERAL TIMES PER DAY. There’s no valid reason for it, and in fact, they are damaging the environment. The leaves just tend to blow back if they are not collected and bagged or shredded to use as mulch. Additionally, they tend to blow leaves off of weedy areas, causing more and more weeds to grow back. We keep our weedy areas leaf-covered to minimize weeds and sure wish the neighbors would do the same. It’s been shown that using a leaf blower will kick up all sorts of dust and allergens not to mention affecting wildlife. 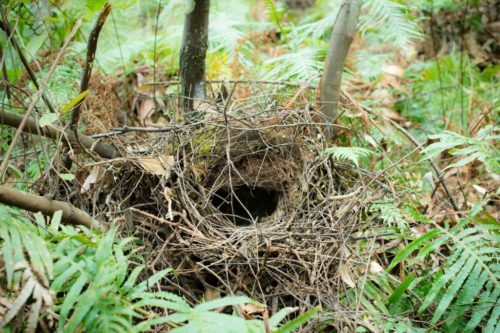 Birds nest in brushy areas, in bushes, and even in lower growing trees. Blowing leaves out of these areas year-round can tear apart bird nests and affect the “good” insects and critters that live in leaf matter. I regularly observe lawn service companies wandering around store parking lots (with no trees or bushes anywhere to be found) blowing dust and debris onto the roads. Who do they think is going to pick up their relocated mess out of the roads? By the way, it’s illegal to intentionally blow debris and leave grass clippings in the road in Virginia? In fact, it’s a Class 1 misdemeanor which is punishable by confinement in jail for not more than twelve months and a fine of not more than $2,500, either or both. The Code of Virginia (18.2-324) says no one may throw or deposit any substance onto a road that creates a hazard to the traveling public. Grass clippings create a slick surface that’s especially dangerous to motorcyclists and other vehicles. And why are they blowing in Spring and Summer when there is little leaf debris? One of the biggest overall complaints about leaf blowing is the noise pollution. I can hear my neighbors’ leaf blowers INSIDE MY HOUSE WITH MY WINDOWS CLOSED. Sure, I expect to hear some noise when I’m OUTSIDE, but not when I’m INSIDE MY HOUSE. Also, when I AM outside, I have to wear hearing protection so my hearing is not damaged from my neighbors’ constant loud leaf blowing. On many occasions, those blowers have been clocked at well over 100 decibels outdoors and heard across multiple property lines! The gas-powered blowers are loud yet some of the battery-powered blowers are a lot louder and more high-pitched. Both types of blowers pollute in their own ways. 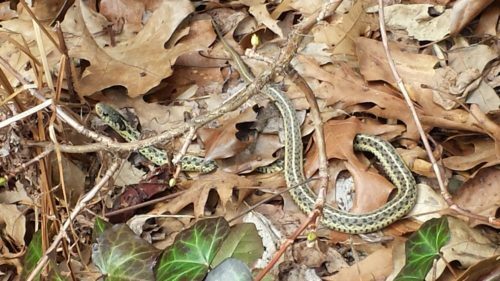 Our five acre wooded property SHOULD provide some insulation from these crazed neighborhood menaces. Doesn’t matter how much land we have, the noise is still extremely intrusive and invasive. At least we are spaced out somewhat in this neighborhood. I can’t imagine what it would be like on a 1/4 acre lot with a neighbor who has a leaf blowing obsession. It’s bad enough on five acres! When I first started to landscape a small part of our five acre property about 20 years ago, I hired a landscape architect to develop a landscaping plan for me. It was a great plan which didn’t require too much change to the property as it stood. We did have to remove some dead trees which we left on the ground to decay. Dead trees are a good bounty for wildlife. Dead branches provide cover for wildlife and decaying logs offer benefecial insects a home. 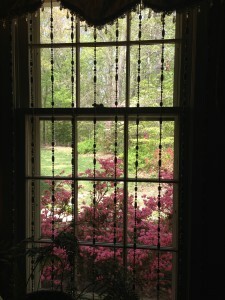 However, there were quite a few “lawn” type areas suggested by the landscape architect that were located in dry shade. Grass doesn’t grow nicely in dry shade. Anything green tends to die off soon due to competition for moisture with large established trees. Invasive weeds such as microstegium (Japanese stiltgrass) will take over a dry shade area only to die towards the end of Summer. Slowly, I learned to not plant a lawn anywhere that was not in direct sunlight with plenty of moisture from rain or sprinklers. Instead, I planted deer-resistant green groundcovers such as pachysandra that would slowly cover the dry shade areas. Any “cleared” area on our landscaping plan would also require removal of leaves which would fall or blow naturally from our wooded areas. Back when we first moved here, my husband and I were very naive. Following our leaf-obsessed neighbor, we would spend hours removing leaves from almost everywhere in our landscaped areas including our fenced wooded backyard. One year, we had a lot of rain on weekends and just didn’t have time to move wet leaves from anywhere except our front lawn and front walk. Leaf blowers don’t work great on wet leaves. Strangely, rakes and brooms do a great job in moving wet leaves! Eventually, the wet leaves packed down on themselves and became a natural “mulch” for our plantings. What leaves we didn’t move provided a lovely nutrition-packed natural blanket for a spectacular display for our flowering bulbs the following Spring. So NOW, we only remove leaves from our front lawn, paved driveway, front walk and back deck. Including those areas, we also USED to move leaves out of the entire fenced backyard, out of the wooded areas in the front and side yards, and out of all my planting beds. Where it used to take HOURS to remove leaves from those listed areas, it now takes about 20 MINUTES a week with the blower or lawn tractor to remove the leaves from these fewer areas even in the Fall. That’s it. TWENTY MINUTES with the lawn tractor fitted with mulching blades, or the blower used very efficiently…NOT HOURS AND HOURS. Once every few days, I sweep off the front steps and front walk. The back patio and decks are quick to sweep and overall it might take me 10 minutes. I love to use a push broom to move the leaves off our paved driveway and into my planting beds. 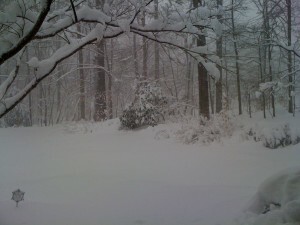 I know the neighbors think I’m crazy, but it’s great exercise and far quieter than a blower. And in the Spring, the trees drop “stuff” which goes on for about a month. Again, we will wait until most of it falls and THEN clean up. However, at least one of my male neighbors certainly can’t wait and must clean up with his blower several times per day much to the annoyance of his neighbors. We have also noticed that the heavy fallen leaf coverage has provided very rich soil and nutrients for the plants that are thriving there. Years of leaf buildup enrichens the soil and is better for plants. Don’t believe that story about oak leaves’ not being good for your lawn. 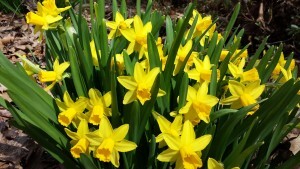 Chop them up with a mulching mower and they will eventually add richness to the soil below your turf. A neighbor who moved in a few years ago was totally exasperated a few weeks into the leaf falling season the first Autumn that he experienced here. Apparently, he wasn’t aware that when he bought his wooded property that the leaves from the large mature trees would fall to the ground in the Autumn season. “When is this going to stop?” he would ask, out of breath, looking up into the sky. And this was during the first week of September with almost no leaf droppage. “It will stop around Christmas,” was everyone’s answer. 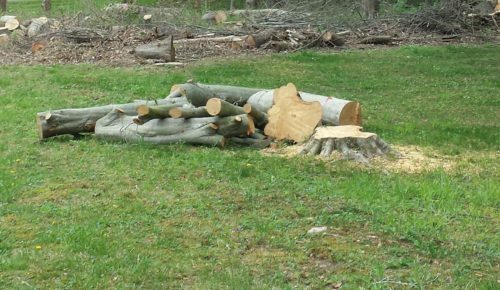 His response was to cut down a lot of healthy live trees on his property over the next two years. Sure that can cut down on the amount of leaves that drop — but he’ll still get leaf droppage from others’ properties and his remaining trees will leaf out even more with additional sunlight. On the negative side, the surrounding forest can react to widespread tree murder and start to decline as well with trees becoming more susceptible to diseases. We’ve seen a quite a bit of tree decline around the area as well. And all the additional sunlight has encouraged invasive weeds to pop up all over the place. Of course, that neighbor is grousing about everyone’s “messy weed areas” but likely has no clue that they have only occurred due to his own tree and leaf obsession. Several states and localities have passed laws regarding overuse of leaf blowers and some have actually BANNED either all leaf blowers or just gas-powered leaf blowers. The results have included quieter communities, more use of rakes and brooms, and fewer noise complaints. 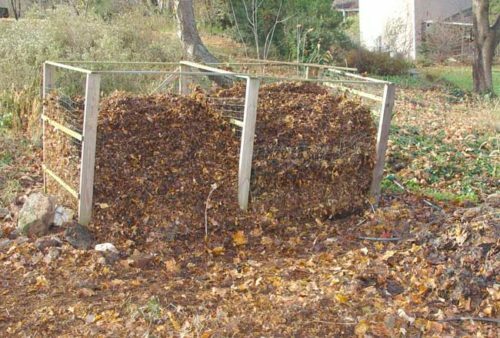 Additionally, you can mulch your leaves or pile them into a compost pile and let them start to decay for use the following season. It’s pretty simple. If you don’t like leaves and leaf cleanup — don’t buy a property with mature trees! And don’t annoy your neighbors because your fear of leaves — also known as phyllophobia — causes you to freak out if one leaf has fallen on your patio! Just let Nature do what it does and you’ll have a lot more time to enjoy a glass of wine, scotch or beer on your deck or patio. Bottom line: If you have to clean up leaves or falling tree debris, do it IN CONSIDERATION of your neighbors. Don’t be like this guy. He annoyed his neighbors so much they all ended up in court. He claims that he only blows for an average of 90 minutes EACH DAY depending on the season. He lost the court case and had to pay a fine and “get along” with his neighbors. There is no valid reason for blowing leaves and debris every day all day — anywhere! Also don’t use your leaf blower to clean up debris all year long. If you do, you’ll be THAT ONE PERSON on the street that everyone talks about and rolls their eyes. My garden colleagues and I feel that in all fairness to our neighbors, they may have no clue that their constant blowing annoys others. However, who could be so inwardly focused that they have no idea of the consequence of their actions? These neighbors are the same people who love to complain about others’ noise and properties, etc. Go figure. You don’t have to be “that neighbor.” Learn to work with what Nature gives you. Sure those pesky leaves can pile up everywhere including your fancy patio. Get yourself an electric leaf shredder and shred those leaves to use as mulch rather than wasting “free” natural resources! And let’s have more peace and quiet in this busy bustling world. And PLEASE don’t use your loud leaf blower to dry off your car after you’ve washed it or to clear out the grass clippings from your lawn mower as one of my neighbors does frequently. It’s not ingenious — it’s annoying and ridiculous. Life is short and no one wants to spend any of it listening to leaf blowers or other loud lawn equipment let alone having to use them. 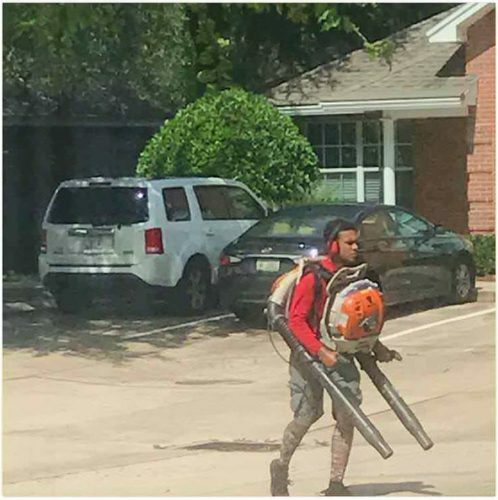 What’s your take on leaf blowers? Love them or hate them? What about leaf removal? What are your alternatives to leaf blowing?